We hope you have had a refreshing winter break. The new year has begun in much the same way as the last one ended – in a flood of activity across the Knowledge Quarter. Fortunately for us, we have new members of staff to sustain us as we fight the winter blues and look to deliver a heady mix of Private Views, Community Champions, new working groups, a conference, a festival ... is it time for another break yet? With January nearly behind us, below is just a few of the month's highlights, as well as a snapshot of events to look forward to in February and beyond. Many thanks for your continued support and interest. Don’t forget to follow us on Twitter @KQ_London, Instagram and Facebook for the latest news and announcements. Work will begin in March to grow a temporary community garden on the building site between the British Library and the Francis Crick Instititute. 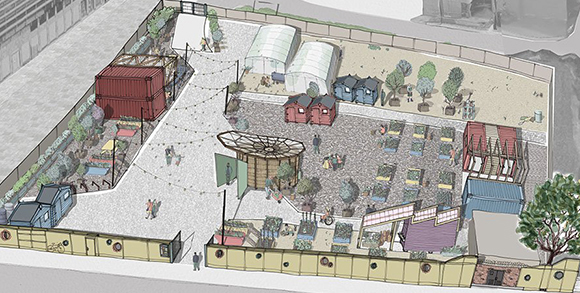 Named the 'Story Garden', the site will bloom under the combined caretaking of Knowledge Quarter partner - and specialists in pop-up gardens - Global Generation, British Library staff and Somers Town residents, eventually becoming a new fertile backyard for the community, a space for people to plant and cook together. 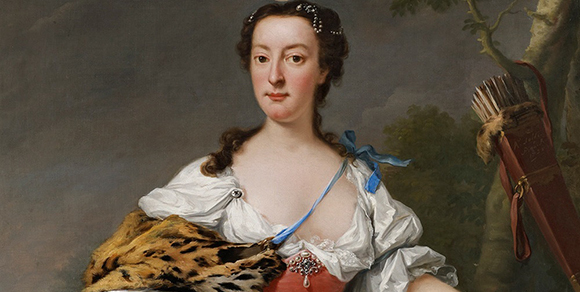 The Foundling Museum has acquired a painting of Isabella, Duchess of Manchester, one of Thomas Coram’s key female supporters in the establishment of the Foundling Hospital. Found out why the acquisition of the painting is significant for the Museum. Aga Khan Foundation UK is recruiting for the post of Digital and Communications Officer, a social media whizz who can help the Aga Khan Development Network reach new audiences. Working Men's College is looking for committed new governors to join its Board as long-serving members step down. Excellent opportunity to apply your expertise and experience to the running of a 160-year old institution. The final event in our Community Champions series is less than a month away. Nexus shines a light on the events, markets and festivals taking place in Camden and Islington. Make sure to come along if you want to meet people who produce local festivals, programme events and want to explore how your organisation can collaborate with others. Still some free tickets left for KQ partners and community organisations. A private curator's tour of Child Health in London, a new exhibition exploring the development of pediatrics in the capital. A shocking new photo-exhibition from photographer Katie Wilson, Bedrooms of London exposes the damaging consequences for children arising from the shortage of social housing in London. How has London’s relationship with the country changed in recent years? With Helen Pidd, Editor at The Guardian, and Caroline Flint, MP. Centre For London research explores why opportunities to work in the capital’s cultural sector are not equal. 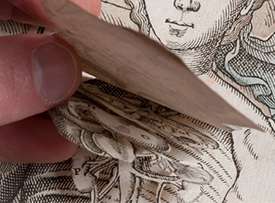 A new exhibition at the Royal College of Physicians, Under the skin: Illustrating the human body exhibits the intricate and multi-dimensional illustrations of the human anatomy over centuries. 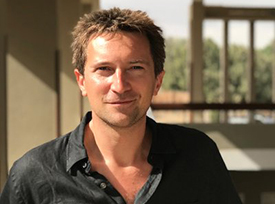 Warwick University in London announce a new series of faculty lectures, starring, among others, Michael Scott! The Institute of Physics had just opened its spectacular new offices on Caledonian Road (a two-minute walk from King's Cross station) when I was last in the building. A sun, the Sun, broadcast in various wavelengths across a wall of screens in the gallery space, was spitting solar flares at me, as I took a rare opportunity to stare directly at it. For the time being, the Sun has been eclipsed by the screens on the gallery floor playing a thirty-minute video installation so thoughtful much of its content passed between my ears like an elegant Oumuamua drifting through space. The artist behind the installation is Grace Weir. The film, Time Tries All Things, plays across both screens simultaneously. 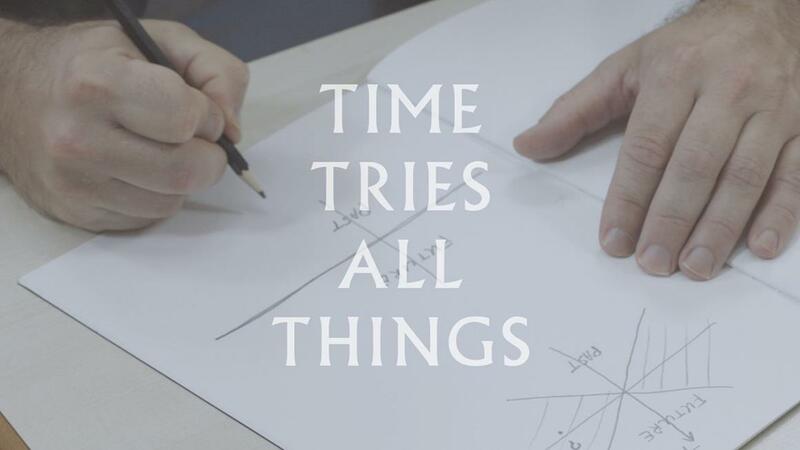 A Professor of Theoretical Physics occupies each screen, though never at the same time, and recounts the principle theories, problems and personal investigations into the nature of time. Meanwhile, on the adjacent screen, a mason appears, ponders a stone slab (itself a testament to time), and we ascend the historic library at Queen Mary University. The back and forth is repeated between Professors, library and limestone, on which the mason is slowly, rhythmically and precisely chiselling first the letter 'T', 'I' – and it doesn't take a genius to figure out where this is going and, if you like, see into the future. By the end of the thirty minutes, what is made of this limestone space-time canvas may surprise, will certainly please, anyone who visits the IOP and sits down to watch the film. And you should visit, on a lunchbreak, if you are popping into Tesco on Cally Road. Physicists and philosophers will no doubt find more to chew on than most in the duelling professors, but the film's images, its neat circularity, the interplay of the two screens, perhaps symbolising past and future, and the cosmic soundtrack, leave a constellation of goosebumps on the skin. Here's a great podcast from the IOP about the Weir installation.